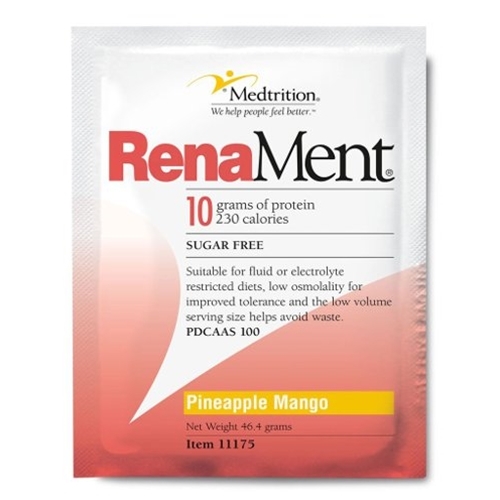 RenaMent Nutritional Supplement from HealthyKin.com is a good tasting, convenient, low volume nutritional supplement that is made specifically for hemodialysis patients on dialysis days. Simply shake the powder in the bottle and add cool water to the fill line and shake again. 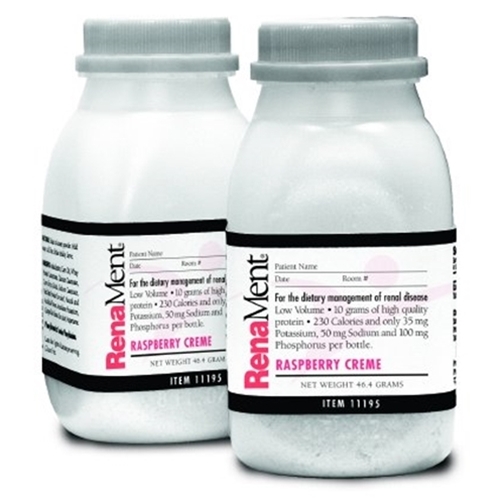 235 calories, 11 grams of fat, 10 grams of protein and only 50 mg of sodium, 35 mg of potassium and 20 mg of phosphorus- a nutritious shake for any resident needing supplementation. Really the best tasting smooth with no grit.